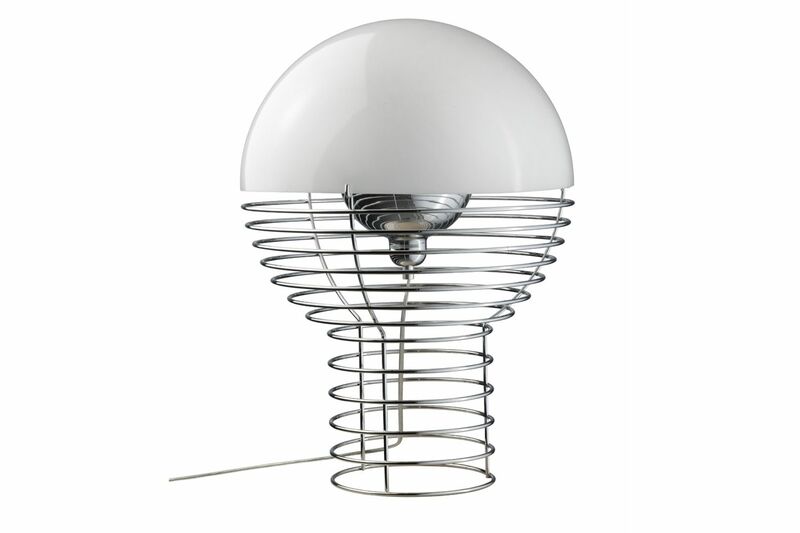 Wire lamp is a table lamp made of a cylindrical wire frame ending with a hemisphere. Forming the shape of a traditional light globe, the upper part of the lamp is equipped with a hemispherical plastic screen. Designer Verner Panton was especially known for creating explosions of colour in his designs, and the shade over the top allows the Wire Lamp to inject that colour into a space.